"Scratches in the Water Help Clear the Air" was a brand new viBeSolos show, written and performed by the Ladies of viBeSolos 2018. "Scratches in the Water..." is an exploration of the journey to womanhood; coming of age, coming into one's own strength, and coming to question the world around you. 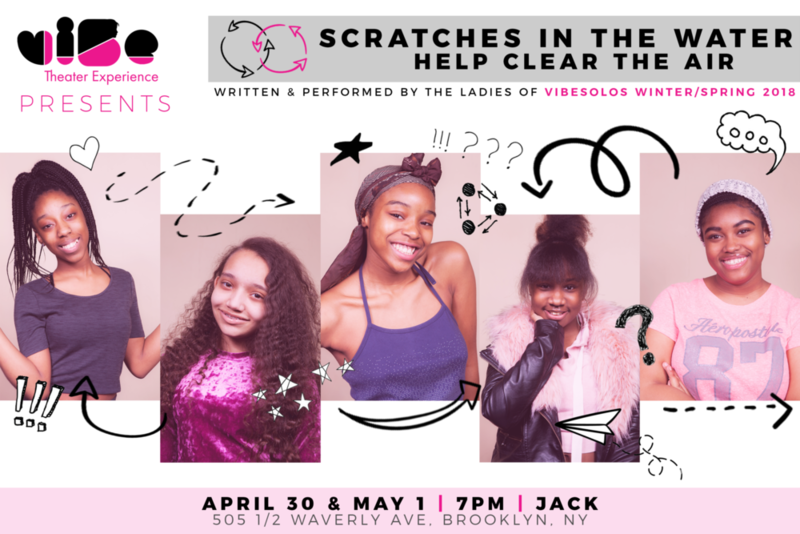 Check out the viBeSolos 2018 cast, as their powerfully written solo performances, music, movement, and poetry "scratch the surface," in order to, "clear the air."